looks as if no one left gives a s**t about the site Jim and that all the knowledge you have will go down in flames and without a site they have no understanding that they will never capture the market no matter how good the guitars are anymore like a builders those that have a site survive and don't that dont have free flowing information will disappear from the market and looks like they are going to let that happen here to bad. You wish to be monitored Jim? I think y'all mean moderator. But, yah, I know what you mean. I signed up six years back, & even though the place was a-hopping compared to NOW, even then I could see where it was a ghost of its former self. Some people date the decline from when Rudy rolled Washburn into USMC (late 2002). I can see the point, & that IS when the excellent Maverick (BT) line was discontinued. But I place it at the day Rudy sold USMC to JAM, officially August 24, 2009. The effects weren't fully felt until 2010, demonstrated by the cancellation of most guitar lines: Tabu, WV, Dan Donegan, Scott Ian, Nick Catanese, X Series, original Idol (WI), & most acoustics (D-, F-, J-, WB-). Then in 2012 the Mundelein offices were closed, including the Custom Shop, & customer service went down the sewer. Someone told me there was a skeleton crew that tried to field calls as best they were able, but often knew little about the company or its products, & JAM really didn't give a damn about legacy stuff. This site qualifies as legacy stuff. Feels as though it's being left to starve until it's empty enough to easily advocate pulling the plug. I'm combing through & archiving some of the bits I've posted here, parts of which may find their way into Vintage Guitar & the Blue Book & Wikipedia & places like that. The Idol has been in the Washburn lineup since the '90s a testiment to its staying power, desirability and status amongst players of all levels. With its bold single cutaway style and dual humbucker layout, the Original Idol provides a stylish alternative to the cookie cutter guitars that litter the musical landscape. When you choose an Original Idol you make a statement that you're not just an ordinary guitar player and you've got something to say. Can you imagine Fender deciding to end production of the Strat or Tele or Precision or Jazz? Will Gibson maybe end the LP or SG or 335? Yet time & again some new gaggle of non-guitarists buys the Washburn offices & kills off bankable success in favor of making a quick buck before pawning the brand off on someone else even more clueless. Look how far traffic has declined on this site in the past five years alone. Seems like half the "members" to sign on since 2011 only hang around long enough to learn they haven't bought some super-valuable axe for $100. Washburn is being forgotten except among the hardcores, & the day when catalogues featured dozens of big-name endorsers seem long past. Oh, there's an upside: why should I even think about buying a NEW Washburn electric when there's so many great used ones drifting past, their asking price generally depressed by the brand's protracted suicide? The Idol series managed to provide just about anything from a good beginner guitar to some serious limited-run glory, & should have been a long-lived gem for the brand. Not everyone wants to looks like just another speed-metal teenager. Instead of one Parallaxe after another, I'd hoped the new owners of Washburn would've gone back & cherrypicked a few models from (say) MG, BT, X, & WI, & gone seeking after endorsements & media exposure -- wow, remember the catalogues from the '90s & all the celebrity endorsers they used to have?? IMO, the BT series was poorly marketed, & the X series was dragged down by the glut of X-10. At their peak, the Idols offered a nice range, IMO competing nicely with Epiphone LPs & SGs yet possessing unique touches, & the Tele-style WI-36 was an ingenious twist -- if they'd also done an s-s-s, it could've been an "evergreen" line. When the spalt-top Idols appeared, I hoped this was a sign they were about to reinvigorate the "original Idol" line, but... alas. Still some good stuff here. Hardly worth shutting it down. Everything is cyclical. Let it go where it goes. No harm no foul. Now that I think about it, not really a "no harm" situation. More closely resembles "neglect the place & let it get overrun with roaches & rats, to justify bulldozing it." My experience with Marketing types over the years hasn't been very good at all. They'll forget about (or practically bury) some product or service simply because they don't feel like doing the work, then blame "no demand" -- yet when something dubious is mercilessly flogged until it picks up the least traction (like a reprinted press release), suddenly everyone's a genius. Though even "the Washburn mystique" (that it's been one long unbroken history all the way back to 1883) is getting tattered, the name remains. Look at all the people who sign up here just to find out whether the Washie they spotted at a pawnshop or garage sale is going to make them rich & never interact further. There's dozens of brands that would cost as little & be worth much more, yet the name grabs their attention. And the mystique is a real thing, especially in acoustic/folk circles: when I set out my M1SDLB mandolin, I get instant respect from the name alone, though it cost me substantially less than my Michael Kelly. If there's anything here that anyone finds valuable/informative, they ought to make copies for themselves, since it might all disappear suddenly. I started a "cheap guitars" forum site last year -- the provider maintains everything, even forums that haven't had a new post since 2005 -- but it needs some overhaul. 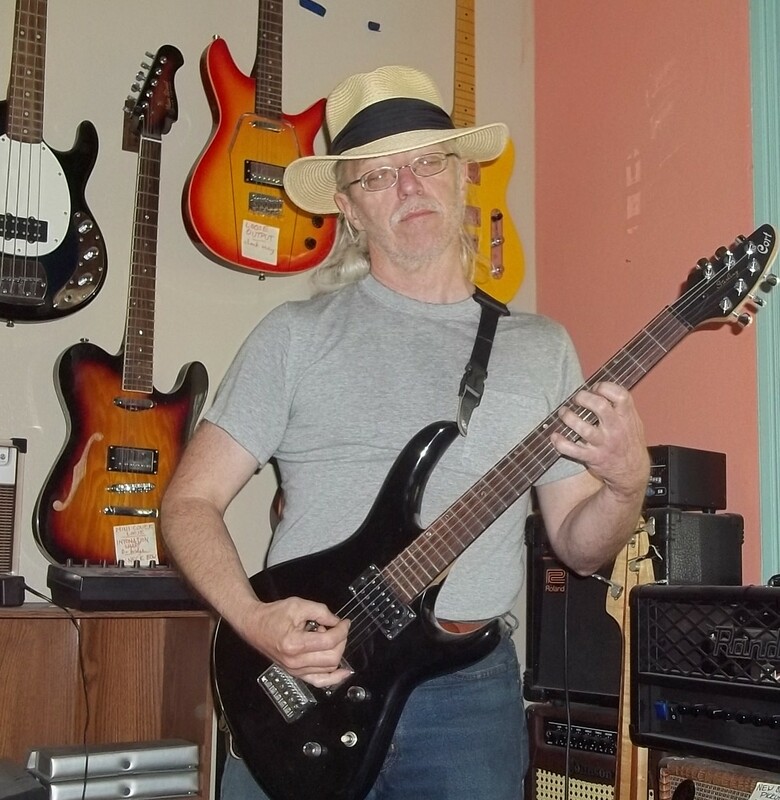 When I get that sorted out, maybe I'll start a Washburn section; everyone's invited, I may even host photos on my own dime, & spammers will be mercilessly eradicated. One only needs to see that the Moderators (deltacaster - Last Active: August 31, 2010, 04:03:50 PM; and WB-Nick - Last Active: February 20, 2013, 04:10:50 PM) don't appear to be involved much lately. Probably a good indication of Washburn's willingness to support this forum as a place to come "talk Washburn". It sure is a shame as the forum is a tremendous source of information for almost anything Washburn, provided you can navigate through the piles of offers for writing papers or removing unwanted hair. "All you need to write the Blues is 2 chords and the truth"